“Hedgehog”, a two-week military exercise that takes place in Estonia from 4-15 May, involves 13,000 soldiers, including reservists, conscripts, active-duty personnel, officials, Defence League members and allied troops. In an unprecedented scale for Estonia, up to 7,000 reserve soldiers have been called up to participate in the largest military manoeuvres the nation has seen. Operation Hedgehog, as is the official name, will aim to test and refresh reserve soldiers’ skills, and also test the assembling of Defence Force and Defence League units. Estonia has around 60,000 men and women who have completed basic training as conscripts and who are counted as a reserve force. The Hedgehog exercise will also see the staging of the 1st Infantry Brigade for the first time in full – the brigade is the main manoeuver unit and strike force of the Estonian Defence Forces. Allied troops, using artillery, tanks and fighter jets, will also take part, including the US Abrams tanks, four US close air support A-10 Thunderbolt aircraft, four Royal Air Force’s Eurofighter Typhoon fighter jets, and four Polish attack planes SU-22. 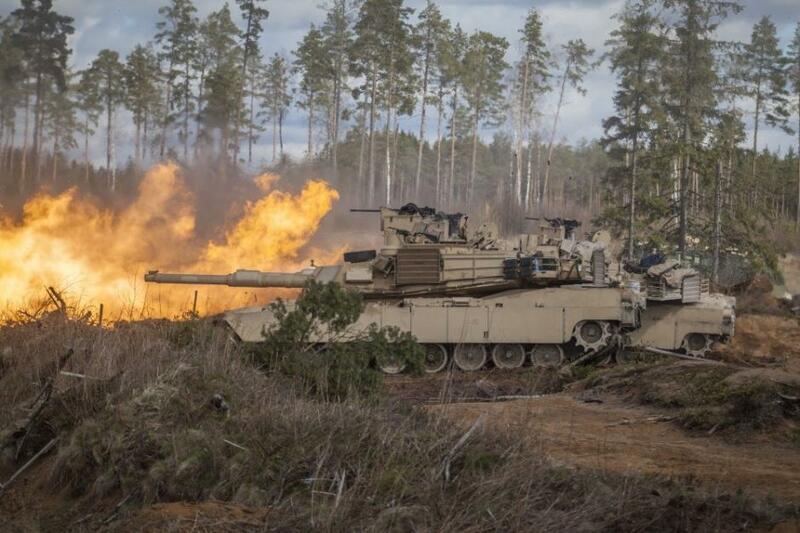 Cover: US Abrams tank in Tapa, Estonia. Photo by Siim Teder (Estonian Defence Forces).